We are one of the leading names in the industry that manufactures a qualitative assortment of Tirpal. Oftenly known as Tarpaulin, these are offered in various lengths and widths to meet the requirements of our clients. Our range complies with the required industry standards and is offered at competitive prices. Most of our range is waterproof and is an excellent medium for covering different products.These tirpal can also be used from both sides. Our clients can avail from us a qualitative range of HDPE Tarpaulin. These are manufactured using genuine High-Density Polyethylene and in compliance wit the prevailing industry standards. Our range is of superior quality and comprises high grade UV stabilizers that help ensure durability as well as prevent discoloring. 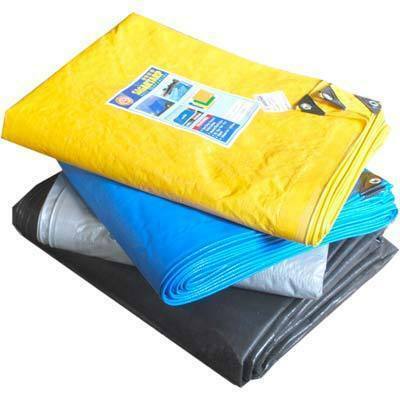 We also offer these HDPE Tarpaulins in customized specifications as per the clients’ requirements. We offer our clients with a qualitative range of Poly Tarpaulin. These are in accordance with the set industry standards and manufactured using premium grades of polyethylene. 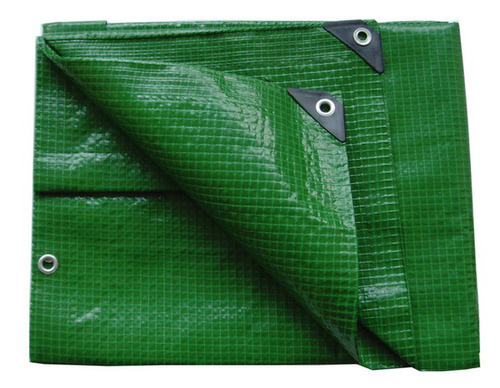 Our range comprises PE fabrics with both sides being laminated and reinforced by P.P. rope on all around edges. It also consists of aluminum eyelets every 1 meters or 3' or 1yd interval (30cm, 50cm interval also available). Scaffoldings in construction sites, underground sheets, covers for trucks, cars, boat, containers, wearing tapes, covers for materials, roofs, road repair sites, fences.